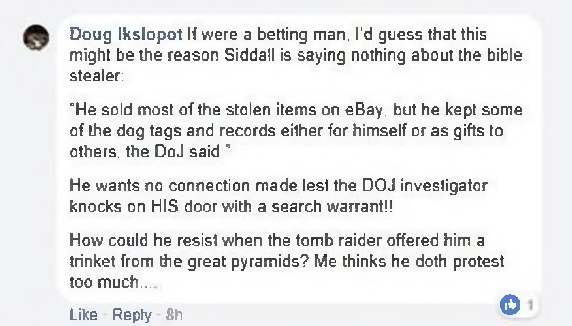 Bando hides under the Trigger Time rocks and speaks of conspiracies and that everyone is out to get him. If you notice all of my articles are out there for the world to read but not the Bando Trigger Time articles. Bando hasn’t offered one scintilla of evidence, not one. It’s all just his mouth running 90 miles an hour but no documentation. None of the Trigger Time lovers have even read the different articles because if they did they wouldn’t have a leg to stand on. None of Bando’s responses are backed up with facts but my articles are all sourced with documentation. Why haven’t Bando linked to my article on his “Secret” TT site? Because you know that you can’t fight facts. Bando wasn’t upset at all in the February 17, 2018 article. It’s only when I started sniffing around the 506 Helmet that he got weird. 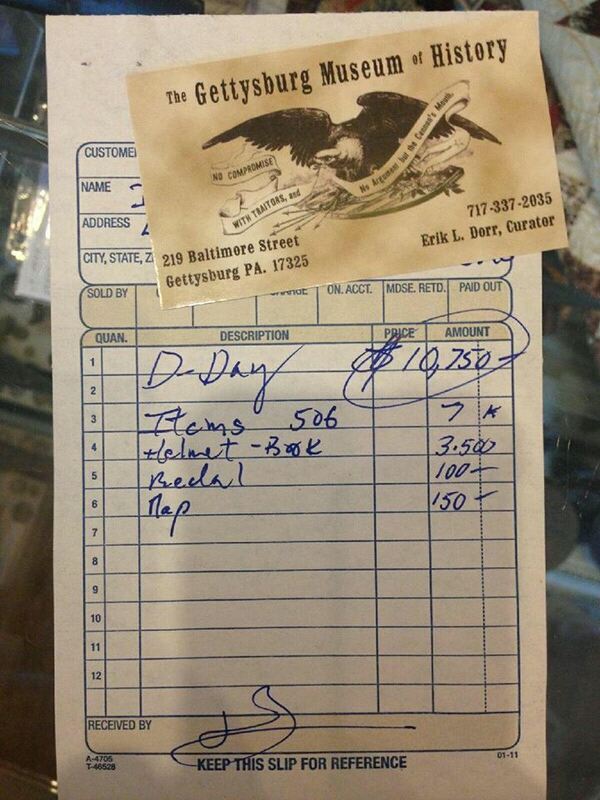 Remember that TGMoH said on this receipt that they paid $3,500.00 for both a Helmet and a Book. Yet TGMoH said they paid $3,500.00 for the book not a bible. Even if it was the bible that means they paid $ 0.00 for a helmet? Bando got weird because if he had given me the price for an authentic helmet it would have been well more than a book. 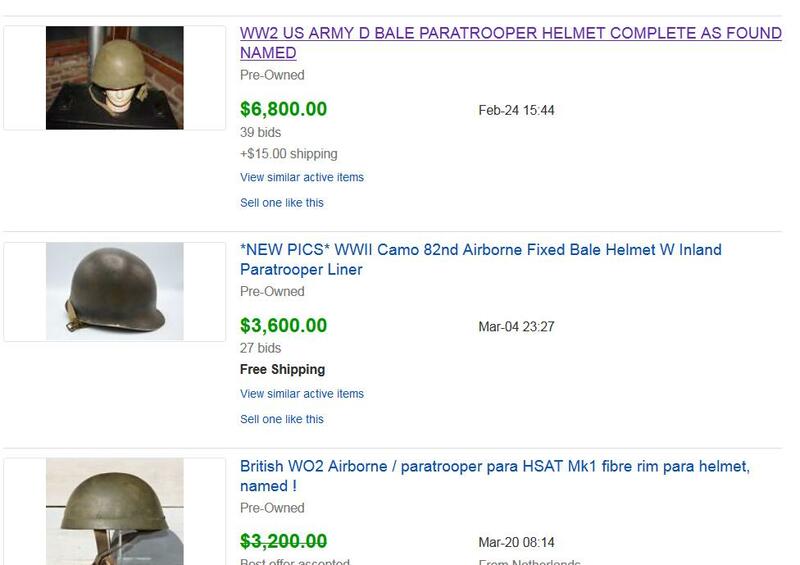 A bible from a Pfc soldier isn’t going to command thousands of dollars while a helmet from a man KIA in Normandy would. Here are the current prices for a Normandy Helmet. So how was the book/bible worth more than a helmet? It wasn't. TGMoH two newest items back in 2015 and 2016 was the bible and the 506th helmet and both were tied into DeHayes. They say they paid $3,500.00 for both a helmet and a book on the receipt but then told the House family they wanted $3,500.00 for the bible and said that they paid $3,500.00 for just the bible. Just to let you know that there are reports from the men in the 7 June strafing that said when captured on 6 June all of their personal effects were taken by the Germans. Let that sink in for a minute or two. 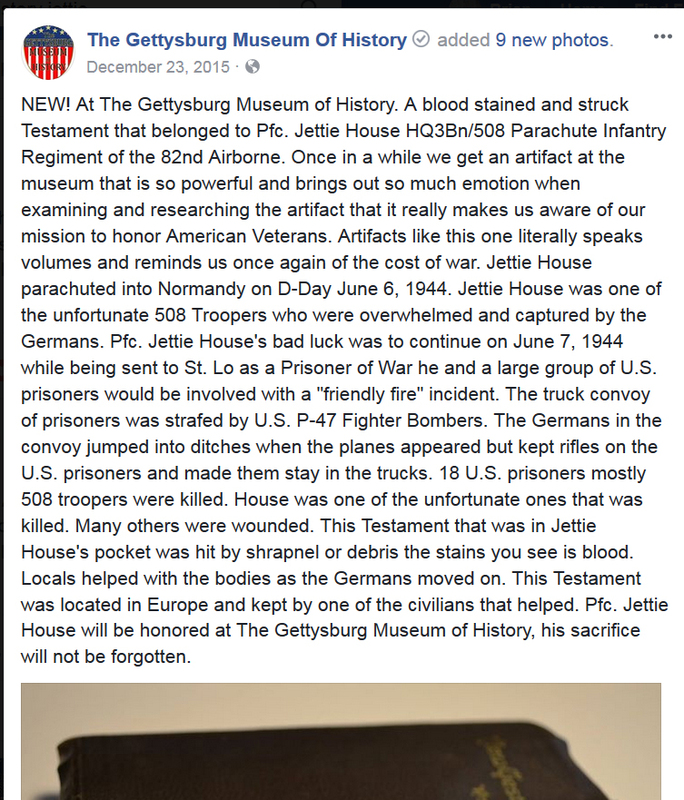 How could House’s bible been hit by shrapnel if the German’s already had it in their possession the day before the strafing? 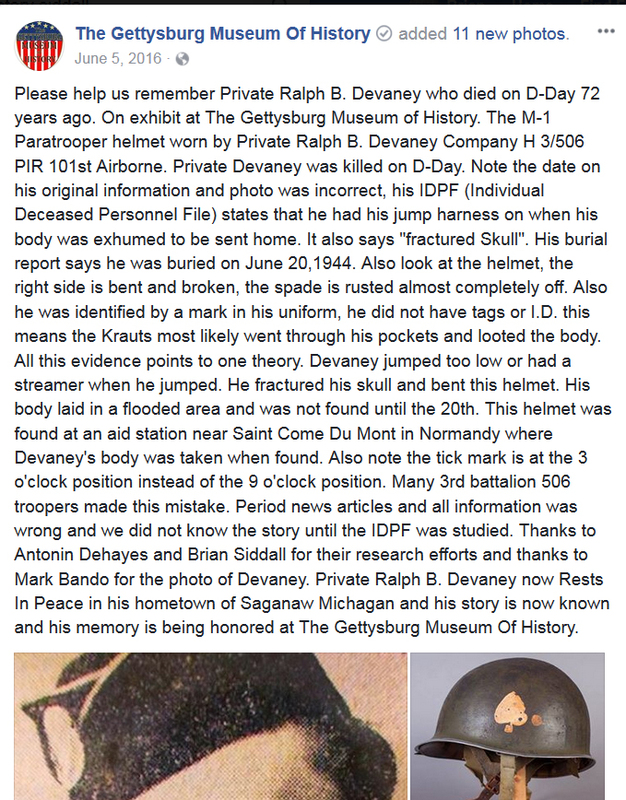 Why is it that TGMoH hasn’t released the receipt with the top part uncovered since they said they purchased a helmet and the book from Dehayes? Why wouldn’t they have come right out with that? 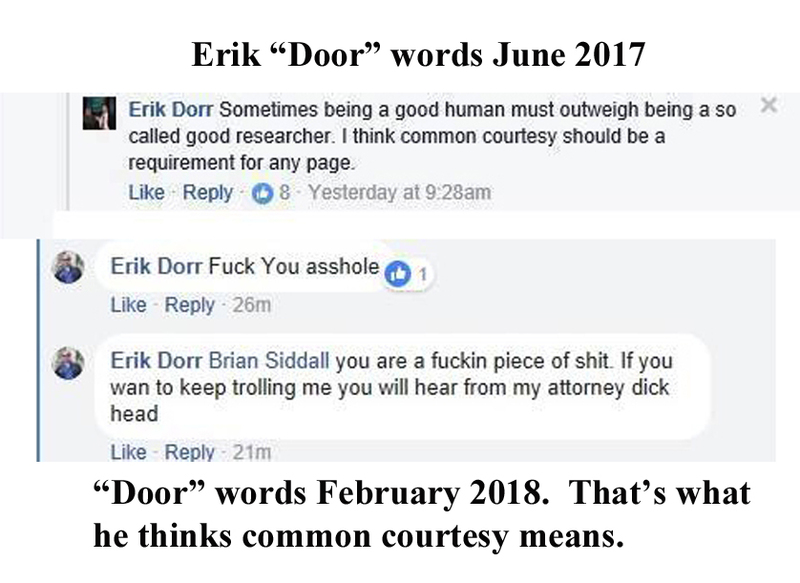 TGMoH has yet to release any information at all about what they say are voice messages threatening Dorr? 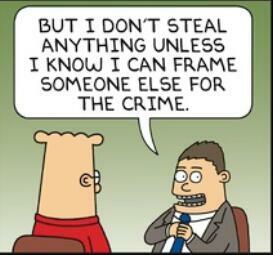 If someone had threatened me I would have the Voice Mail right out in the open for all to hear. The only known for sure now is that NARA will have the House bible after April 4, 2018 sentencing for DeHays. 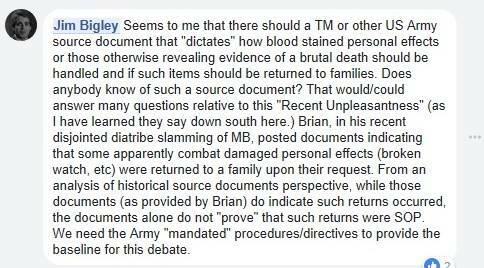 Here’s another question to the TGMoH. 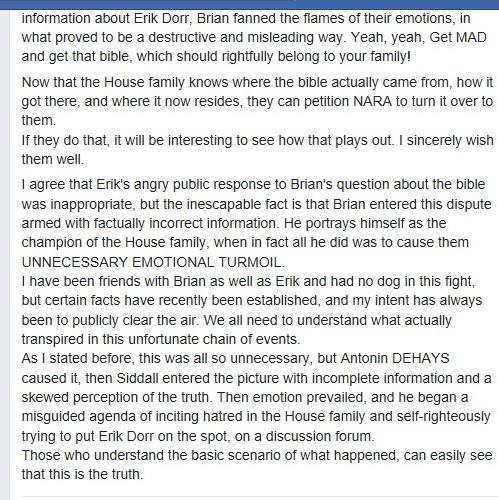 Since they knew since last summer that the bible was in the possession of NARA why didn’t they tell the House family that the bible wasn't in their possession? Even in February of this year after my article came out the House family hadn’t known where the bible was. I contacted Mr. Bosanko Chief Operating Officer and asked him of the location of the House Bible. He got right back to me and the family by email and let use know where it was. Let's talk about Dave Strasz first as this one is pretty basic (and so is he). 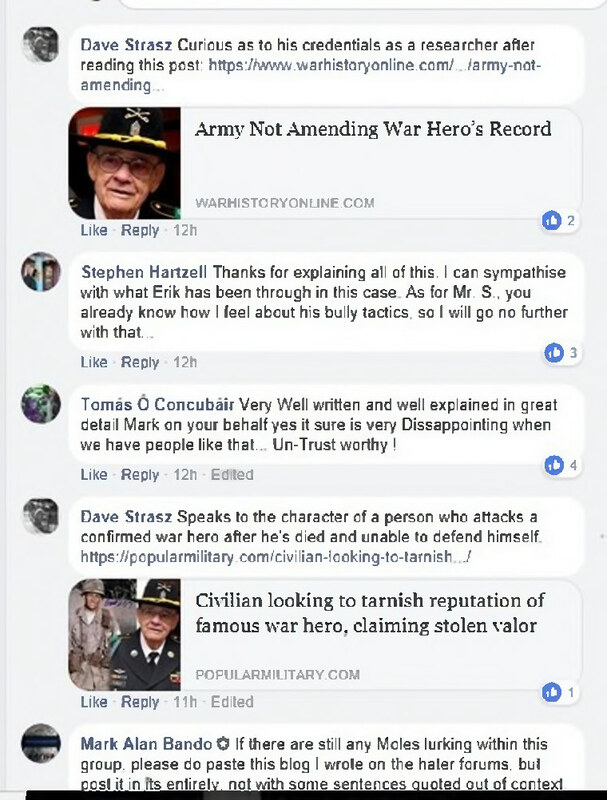 Strasz spouts on about Plumley and that Plumley is a proven War Hero. He takes his information from shall we say different sources. 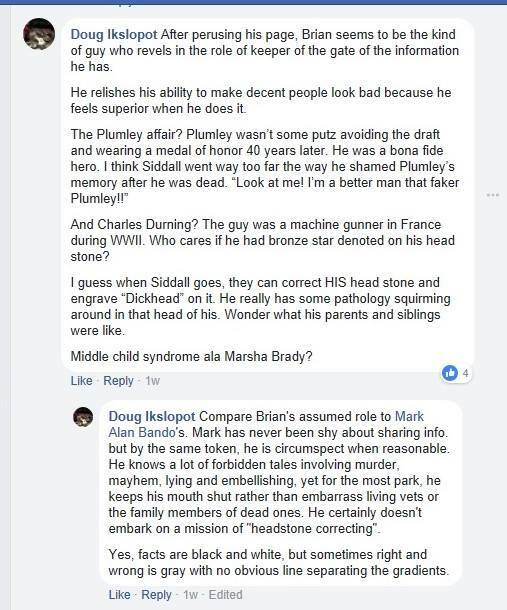 He has never read the actually documentation about Plumley. If he likes he can now read The Plumley Articles then he can read all of the actual documentation from this thing called the US Army. Strasz said that I only go after dead heroes. 2 things wrong with that statement. The first, Plumley wasn’t a hero, only in the movie was he a hero. Anyone who wears not one but two CIBs he isn't allowed to wear is not a hero by any stretch of the imagination. Secondly, most of the fakes and liars I exposed were very much alive at the time of the exposé, and not one came after me. Why, because there was nothing but documentation proving that. Look at Galloway, I’ve exposed him and nothing from him, nothing. Galloway Lies. 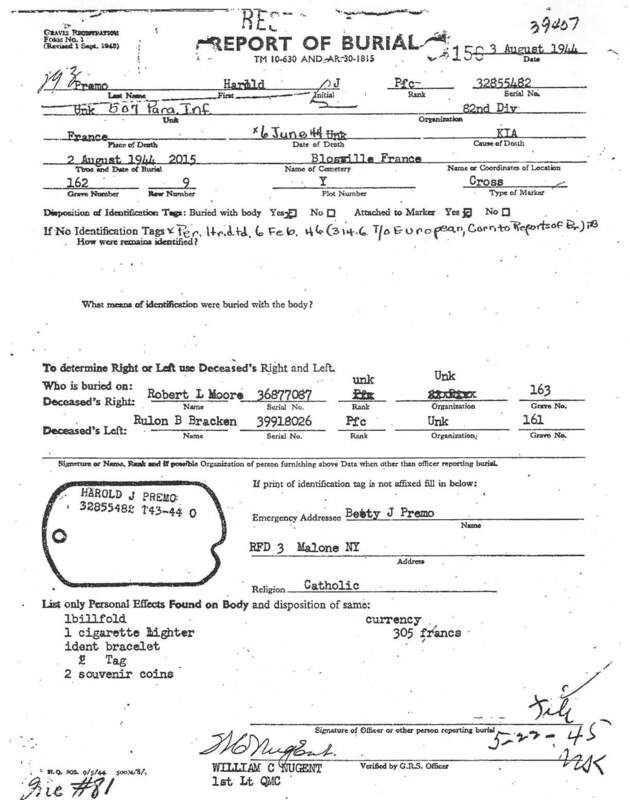 In fact Galloway as mentioned in the above link went after a veteran of the Ia Drang Campaign who was at LZ Albany. Strasz, stick to watching movies as that’s about all you can understand. Dave Strasz also uses warhistoryonline.com and popularmilitaryhistory.com as source material. I've never even heard of either one of these sites. The Plumley Article linked above is documentation whereas the two links just above talk but like Bando has nothing to back up their assertions. Next let’s talk about Jim Bigley. Bando is all talk, no documentation in this case with the Personal Effects. Bigley should look at FM 10-63 January 1945. There is nothing in the FM that would prevent the Personal Effects from being sent home. I’ve already found three more examples in 20 minutes. I have found three more IDPFs where the family received either battle damaged items or bloodstained ones. Please show your work where you spoke of my “disjointed” diatribe. Only a little man would hide behind a group like Trigger Time. If you notice I put my name on my work out in public. Last point that “diatribe” you reference wasn’t a diatribe at all. I was laughing when I wrote it. You people at TT really think your crap smells like roses. At least dog crap has a useful purpose as it can be used as fertilizer. Trigger Time Bando lovers just smell like crap and have no real value. Bando lovers talk a big game but don’t really contribute to real research. Trigger Time folks just keep showing up at a newly deceased WWII veteran house and see if you guys can maybe get a new 101st patch or green undies to add to your collections! 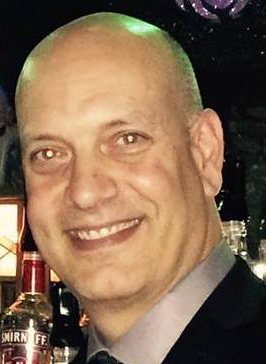 Doug Topolski who has not one but two aliases; Doug Ikslopot and Ron Rafferty. Old Dougie boy has some issues it seems. He said I’m the keeper of the gate and won’t let information out. He isn’t that smart at all of course. 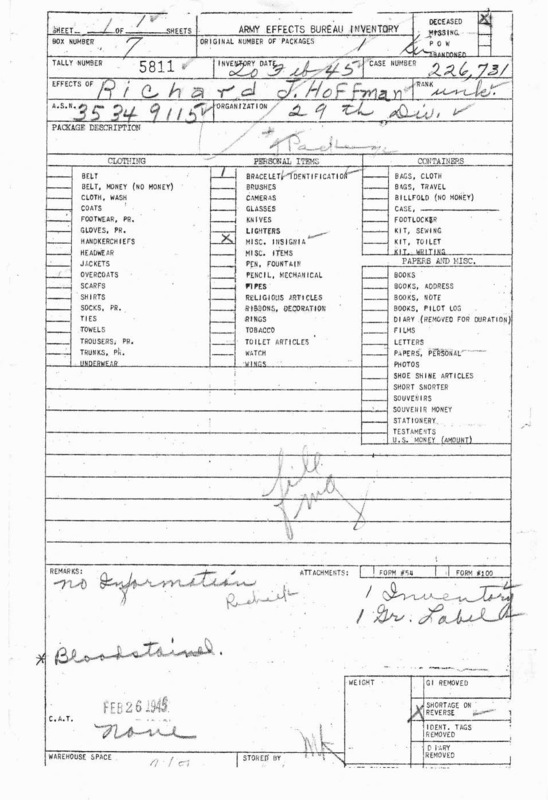 I have release more information than anyone as it relates to WWII only behind NARA itself. Just click on my website then go to the fultonhistory.com as I have uploaded 20,000 IDPFs and 5,000 months of Morning Reports. But when Doug Topolski said this about me he is even further out there than Bando or Strasz. When people have multiple aliases then try to discredit someone using said aliases that means well, you can figure it out right? 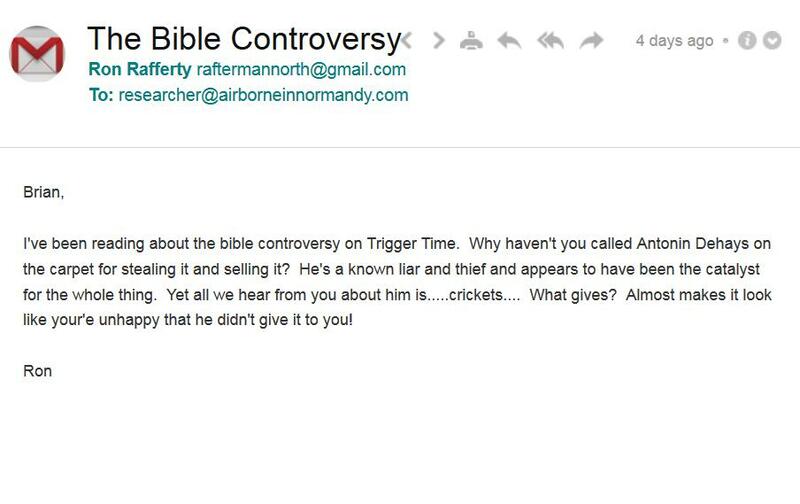 Topolski lied on Trigger Time when he said he emailed me and I didn’t respond. 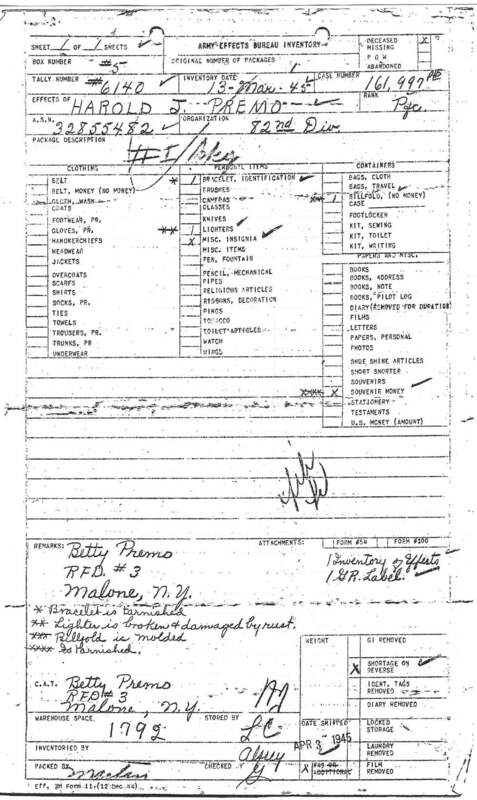 He didn’t as he used the alias Rafferty. Why would I respond to a liar? I do but only in an article, you know, like this one. 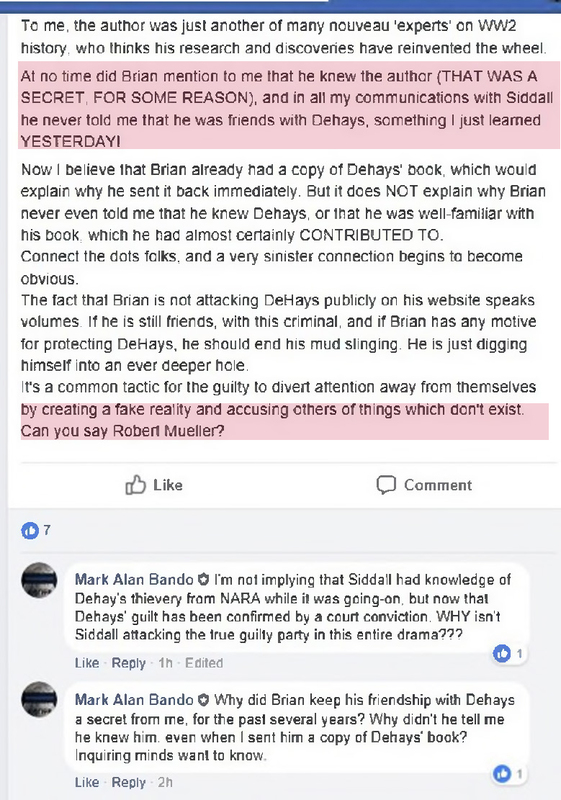 Topolski has tried to say why I haven’t responded to DeHays. Of course I did in my article from February 22, 2018 and back in June of 2017 on FB letting people know about DeHays of FB and shared it again on FB a few days ago. You can only beat a dead horse so many times right? Topolski doesn’t know how to read as he talks about his favorite actor Durning. Only problem was that Durning wasn’t the main target but a worker at Arlington National Cemetery. Topolski is also a Plumley lover like Strasz. Next week in Part 3 remember what Bando said about Plumley lovers. Here is one of Bando's Meltdowns and here is Bando’s own words once again that shows the opposite of what he said in this Meltdown. The sentence before this was attributed to Dorr (Erik paints a totally different picture of the House relatives) but this sentence was all Bando’s opinion.